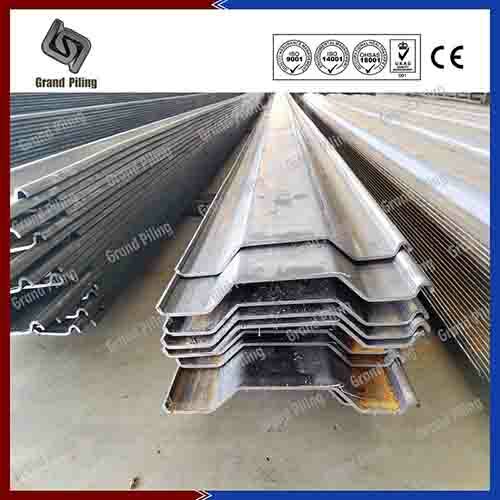 Steel trench sheets can be supplied in a variety of profiles and length and steel grades. Overlapping trench sheets are without interlocks. 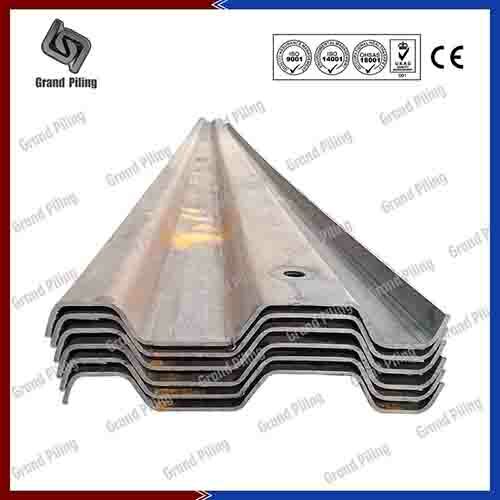 While interlocking trench sheeting is like other kind of sheet piles, connected with interlocks. Since trench sections are also produced from cold rolling technology, so any sections can be produced, like RC sections etc. The Trench profile sheet pile is a light weight trench sheet with simple overlap connection. Designed for fast re-uses with low strength requirements, such as pipeline installation. Trench sheets are designed to support vertical faces of small to medium excavations. Trench sheeting can be installed by excavators with Quick Release Shackle through the slinging holes at end of the sheet. Trench sheet piles are driven with a Driving Cap, which prevent trench sheets from damages. Extraction Clamps can protect the sheet when extracted. We can offer a complete services, from trench design, production and supply, until excavation and extraction, driving, installations. China sheet piling are normally used to support earth banks to protect the workers and are ideal for waterway banks mainly because trench sheeting's strength, speed of installation and flexibility. 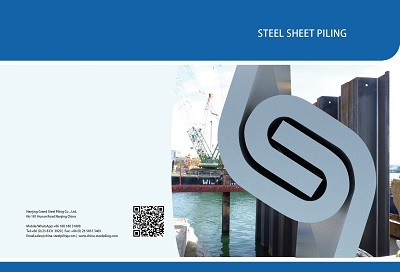 Sheet pile products can also be used many times because they can be extracted easily without any shape deformations. 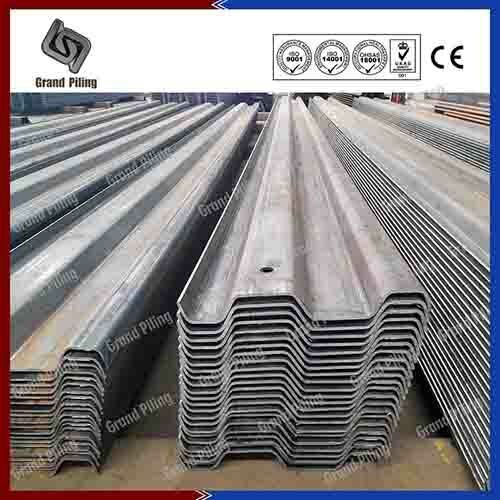 Steel trench sheets can be supplied in a variety of profiles and length and steel grades. Overlapping trench sheets are without interlocks. 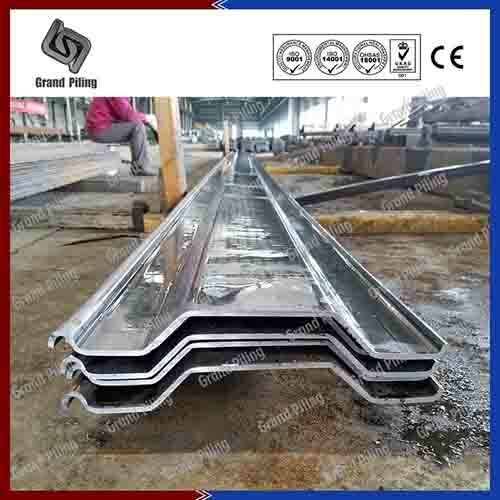 While interlocking trench sheeting is like other kind of sheet piles, connected with interlocks. Since trench sections are also produced from cold rolling technology, so any sections can be produced, like RC sections etc. Ø Actual re-uses will be determined by trench sheet pile length, and pile conditions. Note: This table is only part of our sizes. We have over 1000 different sizes. We can adjust our machine to produce in any width,Height and thickness. Please contact us if your size is not in above table.